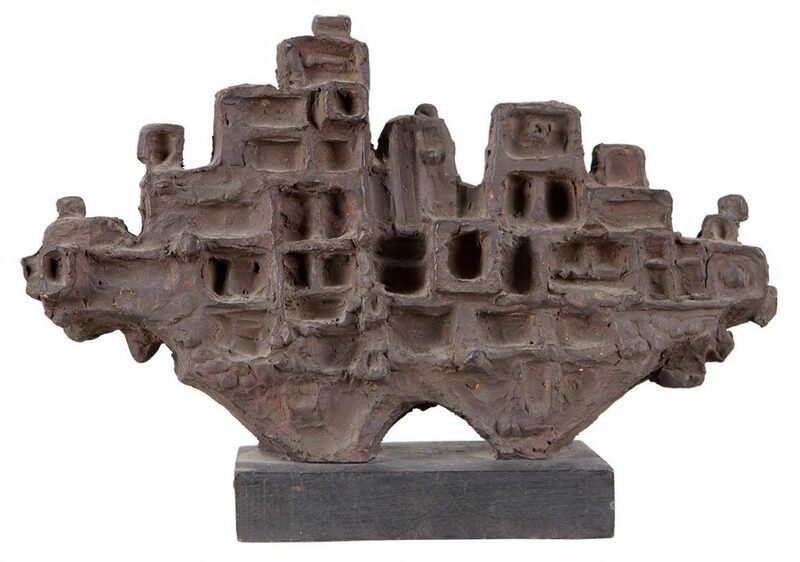 Clay was the first medium sculptor Dhanraj Bhagat began working with while studying at the Mayo College of Art, Lahore, but the medium left him uninspired. For him, its amorphous nature held little individuality. It was when he got his hands on wood with its uniquely tactile qualities that he felt inspired to carve and create. Bhagat’s early wood sculptures bore liquid, stream-like forms of the sensual feminine, with smooth, elongated lines charged by lyricism and the sensitivity of a young man not yet been traumatised by the horror of Partition. Post the cataclysmic event, the artist’s oeuvre is marked with works that acquire rough edges and unsmoothed chisel marks. These works are deeply moving, charged as they are with the intensity of the artist’s experience of as a Partition refugee. In the Fifties, Bhagat began experimenting with different mediums that transformed the figures he created. 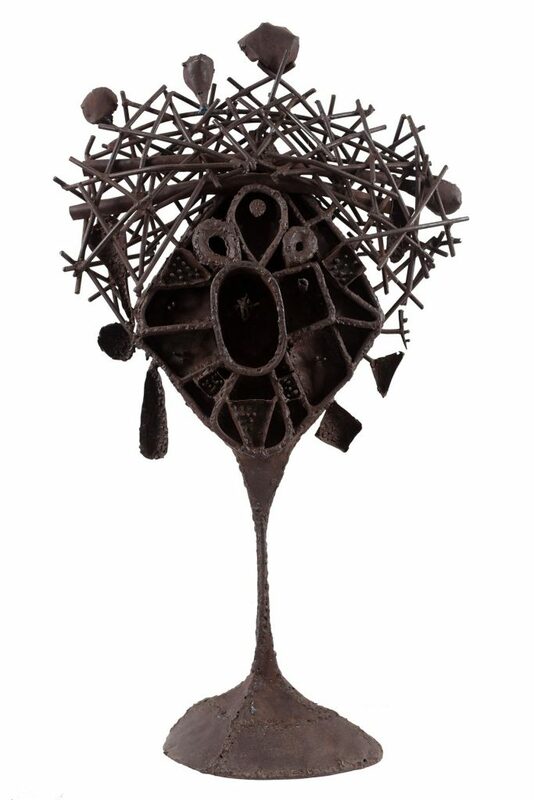 He experimented with cement, papier mache, aluminium, copper and brass, the inherent qualities of each medium suggesting to him new forms and contexts. His female figures became large and heavy forms steeped in sorrow, far from the lyrical and smooth wooden ones of before. A series of mostly large, powerful sculptures executed in concrete marked his evolution towards abstraction. 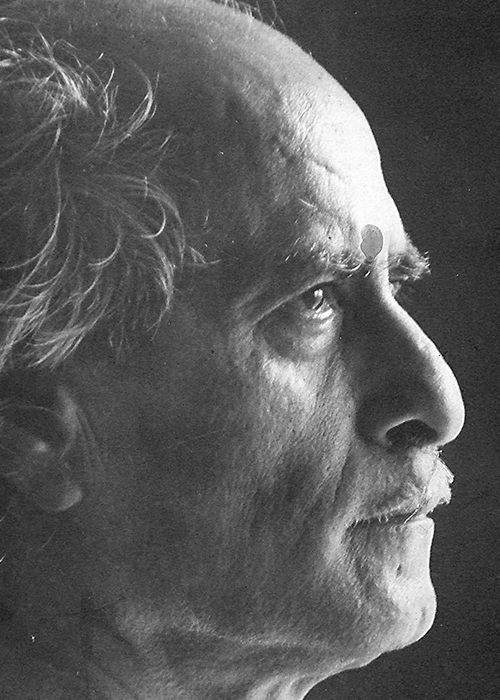 Having won various prizes, he won the National Award of the Lalit Kala Akademi in 1961, was awarded by the Sahitya Kala Parishad in 1969, and was honoured with a Padma Shri by the Indian government in 1977.